The Q-DLP® (Data Loss Prevention) is a stand-alone, dedicated Data Loss Prevention tool (DLP), using OpenDLP, one of the most advanced open source Data Loss Prevention software packages available today. In addition to Data Loss Prevention, the Q-DLP includes tools to catch any attempts to alter files. We have also included BRO-IDS, an intrusion detection tool, and Brownian, a web GUI for BRO-IDS. 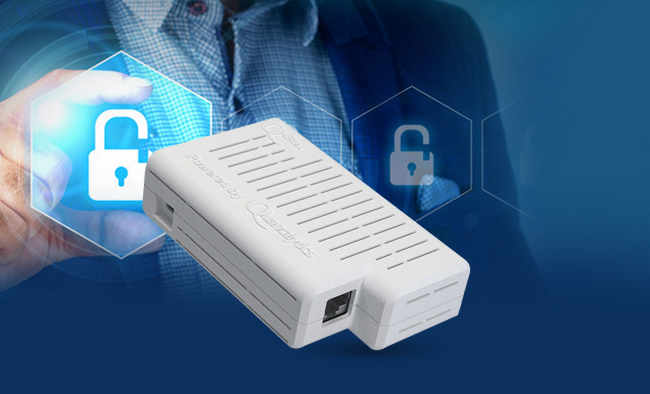 The Q-DLP is intended to complement the other Quantalytics network security appliances to help provide greater in-depth network defense. However, the Q-DLP may be used on a stand-alone basis. It is ideal for PoS (Point of Sale) networks. OpenDLP (Open Data Loss Prevention) is an open source, centrally managed, massively distributed data loss prevention tool. It operates both agent and agent-less. With suitable Windows, UNIX, MySQL, or MSSQL credentials, OpenDLP can simultaneously identify sensitive data at rest on hundreds, or even thousands of Microsoft Windows systems, UNIX systems, or MySQL or MSSQL databases. It uses a centralized Web management interface. Sensitive data can be credit card numbers, Social Security numbers, or any other user-defined sensitive data. OpenDLP consists of two components: (1) A web application to manage Windows agents plus Windows and UNIX database agentless scanners. (2) A Microsoft Windows agent to perform accelerated scans on up to thousands of systems simultaneously. Because of OpenDLP’s extraordinarily rich feature set and the interface with the Q-Log® for log analysis, we recommend visiting our web site at www.quantalytics.com for a far more detailed description. Bro-IDS is both a signature and anomaly-based IDS package. Bro-IDS examines all network events (e.g. FTP, HTTP) and then, using its Policy Script Interpreter, provides insight into the legitimacy of the events. Bro-IDS includes Bro-Script, its own scripting tool, to create custom rules and analysis. Bro-IDS interfaces with the Q-Log® for monitoring and analysis of its intrusion detection logs. Brownian is the Web interface for Bro-IDS. Xplico is a leading open source package for real time network packet capture and forensic analysis. In the event Bro-IDS shows suspicious activity, network administrators can capture and examine in depth real-time traffic for deeper analysis of suspicious network traffic. In addition to packet inspection, Xplico allows for reconstruction of the actual traffic. E.G. E-mails, texts, IM’s, pictures, etc. HA Proxy is the leading open source package for automatic failover and load balancing. Up to 32 Q-DLP servers may be linked for automatic failover or load balancing for coverage of extremely large networks. Setup and administration is done through Webmin. ClamAV® is the leading open source anti-virus package. The Q-DLP has both a 1000 mbps (gigabit) NIC and 802.11 b/g/n WiFi. The Q-DLP is also available as a Virtual Machine (VM). The Q-DLP is completely administered through a Web GUI. All package usage is via Web interfaces, thereby opening up sophisticated intrusion detection, network forensic analysis, and network monitoring to even novice network administrators. No Command Line Interface (CLI) or Linux skill is required. Notifications are provided by e-mail using SendMail, which is configured with a module in Webmin, and syslog entries. The Q-DLP network appliance can be integrated with Nagios® in the Q-DLP as another notification route. SMS notification is available as an option. The Q-ConPot network appliance can also be integrated with the Q-Log® network appliance or any other Syslog or SIEM solution. Q-DLP® and all registered trademarks above are property of their respective owner(s).